Lighting Crash Course Cover & Lessons Revealed! 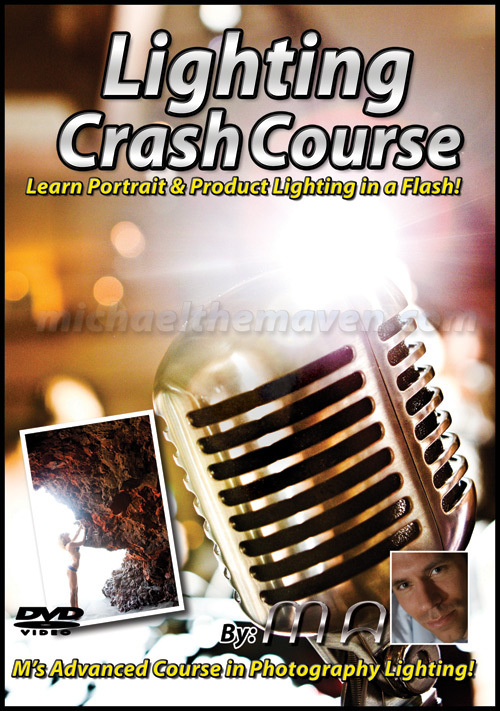 Ok, so we have known pretty much what the cover of the Lighting Crash Course would be for years. In fact, I would almost rather change it to the picture of the woman in the smaller image, but because its been printed and listed all over the place, we are sticking with the shot of light bouncing off the microphone. Here are the main Lighting Crash Course Description & Lessons, the video is currently running at 3 Hours and 45 Minutes, but anything is subject to change. I expect to move, delete or add a few lessons here and there but if we add anything, it will be very short, and we will only delete something if its already been covered enough. Module 2 has overlap with the Canon Speedlite Crash Course DVD and runs about 20 minutes. As I explained on that video, I had to include those lessons on both DVDs, so anyone (including non-Canon Users) will benefit from each video. 3 and a half years in the making, Michael The Maven's highly anticipated "Lighting Crash Course" is near finally completion. In this training video, Michael tackles the complex subject of "Light" in a way no one else has; first breaking down the physics of light into simple terms, demonstrating its characteristics, behaviors and limits, and then shows users how to manipulate those properties for great pictures. You will learn all about; The Physics of Light for photography in an easy to understand manner, Observation Techniques, Studio Gear, Set Up & Demonstrations, Portrait Lighting Techniques, several types of complex Product Lighting & methods, Mixed lighting on location and mostly importantly: Michael's simple system to know how to light virtually ANY situation. If you are any kind of photographer who wants to dramatically increase your understanding of light and techniques, THIS IS THE TRAINING SET FOR YOU! - Originally priced at $100, Michael is offering it for just $45!! Michael's students consistently agree: "I LOVE the way Michael teaches because he does so in a way I am able to understand. 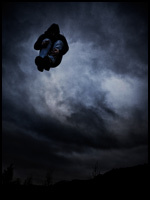 Not only is he a great photographer, he is one of the best instructors I've ever learned from…anywhere!" More information and sneak preview lessons coming soon!